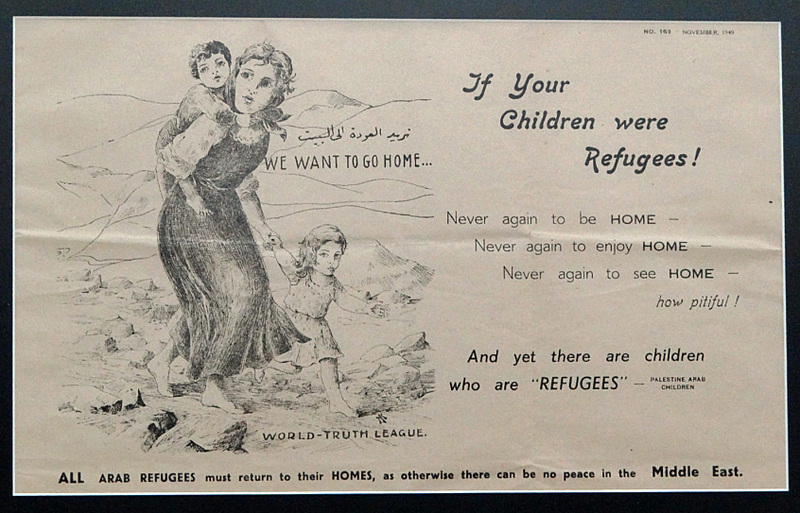 According to Dr. Salim Tamari this poster, and the others in the "World Truth League" series, may be the earliest posters ever to articulate the Palestinian right of return. The date printed in the upper right hand corner is "November 1949" which makes the posters in this series the earliest right of return posters in the PPPA. There is also a number next to the date: 163. This number may indicate that this poster is one of a series.